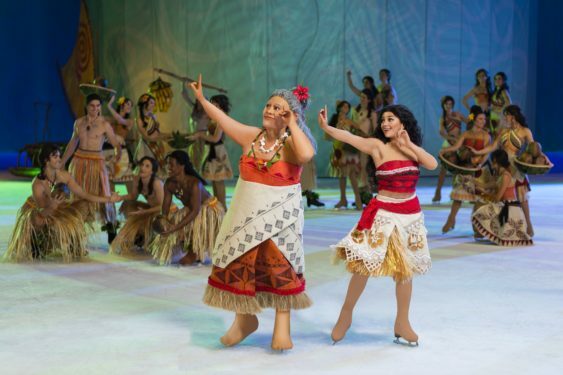 Celebrate what’s possible as the adventures of five daring Disney heroines spark the courage inside us all at Disney On Ice presents Dare To Dream. Discover your inner hero along with Moana, Elsa and Anna, Disney Princesses Rapunzel, Belle, Cinderella along with Mickey and friends. Playing at SAP Center in San Jose on February 20-24 and Oracle Arena in Oakland on February 27 – March 3. Savings are not valid on premium seats. No double discounts. Savings are valid on all performances except Saturdays and Sundays at 3 pm. Sorry! The contest for Disney On Ice presents "Dare To Dream" | SAP Center has ended.